Please look at the video and check if you need a part measurement. The measurement table is on the next side. Attention: This model is only possible to produce in values of the measurement table. 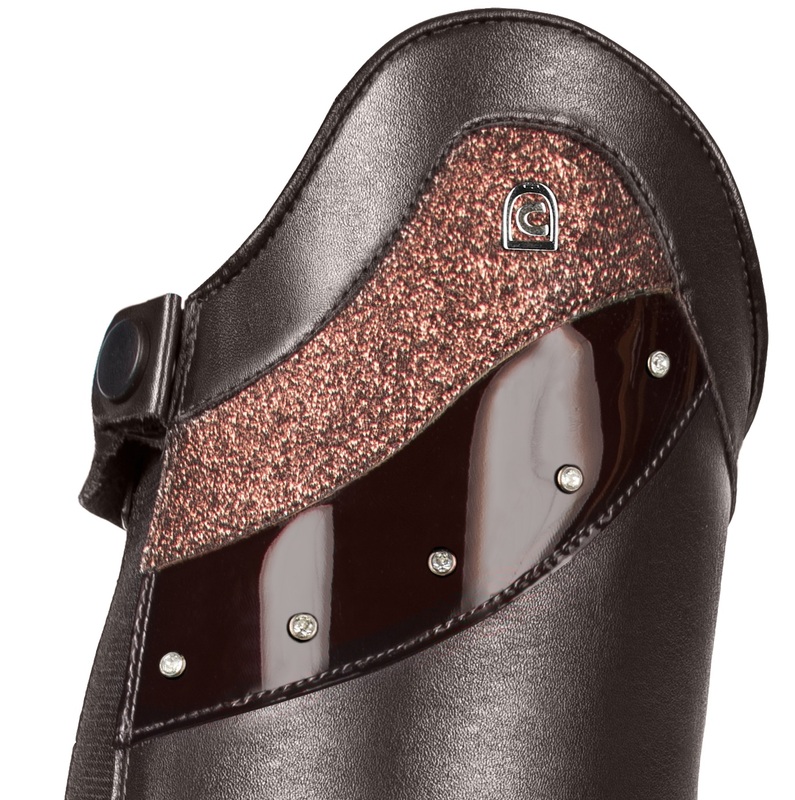 Cavallo boots are 2cm shorter (measured on the back strap without heel) and drop around 1-2cm in use. So please order at least a 3cm higher shaft height than measured from the ground to the hollow of the knee (when standing). Please click to enlarge the measurement table. 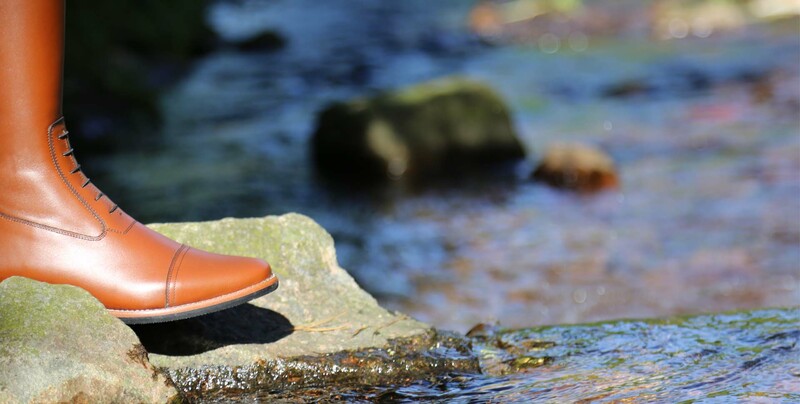 The boot is produced in the larger shoe size. Due to the two insoles, the shoe size is reduced to the smaller of the sizes indicated. Here you can enter the desired shaft height. Please look carefully, if your values ​​can still be found in the size chart in combination with the shoe size. 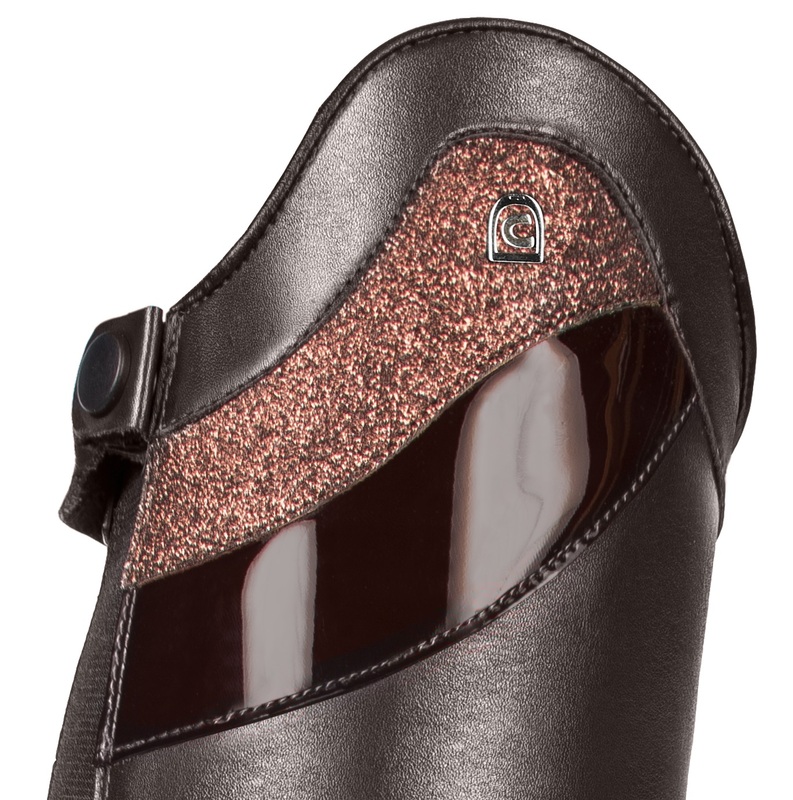 Attention: Cavallo boots are 2cm shorter (measured on the back strap without heel) and drop around 1-2cm in use. So please order at least a 3cm higher shaft height than measured from the ground to the hollow of the knee (when standing). Here you can enter the desired calf circumference. Please look carefully, if your values ​​can still be found in the size chart in combination with the shoe size. 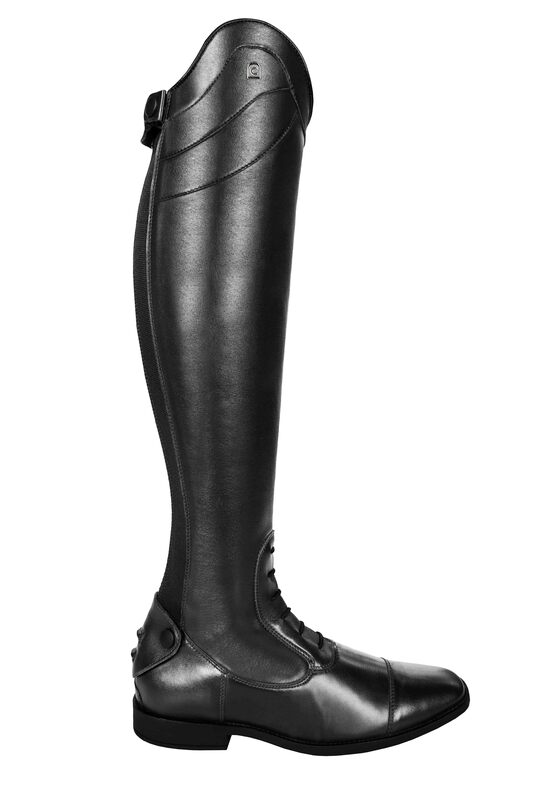 The calf circumference falls in this model by the elastic insert a little further, so here can be deducted 1cm from the measured calf circumference, so that the boot sits nicely tight. Please write down your body height in cm in the field below, this will help us to see if you pick the right shaft height. Now that you have entered all the required values for this boot, the "Apply configuration" button appears below. Please do not forget to put the boot in the shopping cart afterwards. 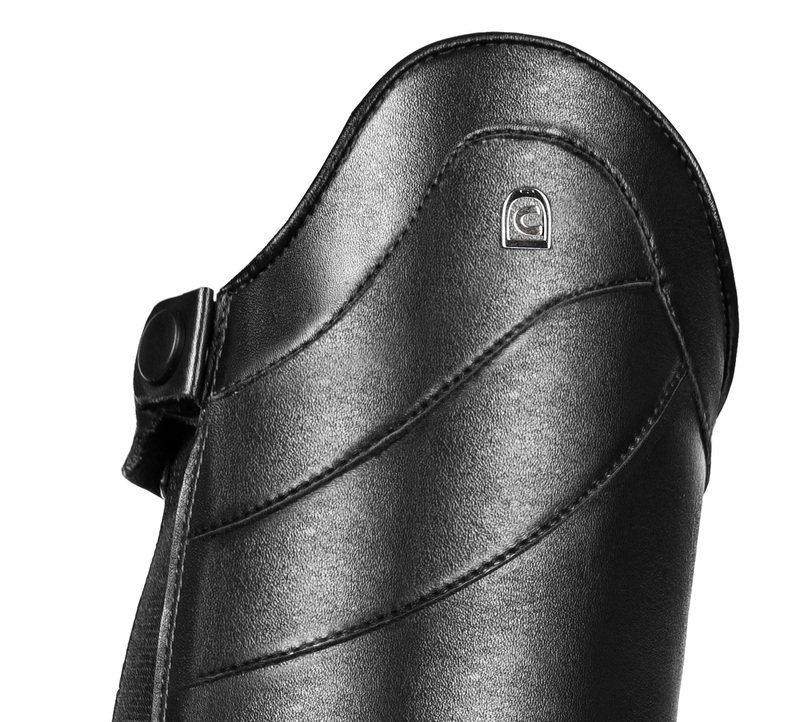 Product information "Cavallo Linus / Linus Jump configurable"
Cavallo Linus / Linus Jump configurable show jumping riding boots. 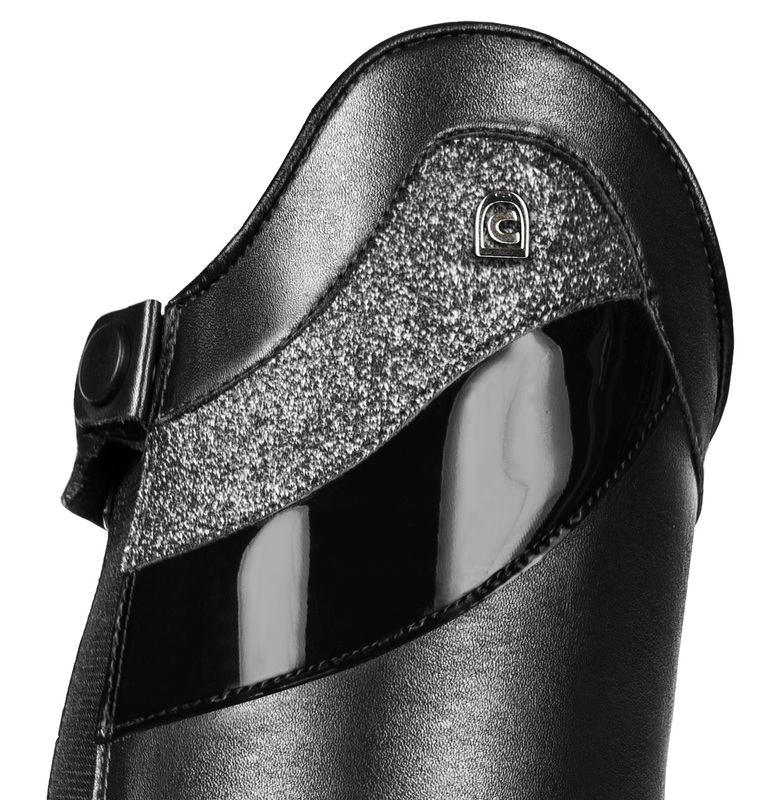 Soft allround riding boots made of nappa leather for children, youth and adults that covers up to two sizes because of a removable insole for size adjustment. 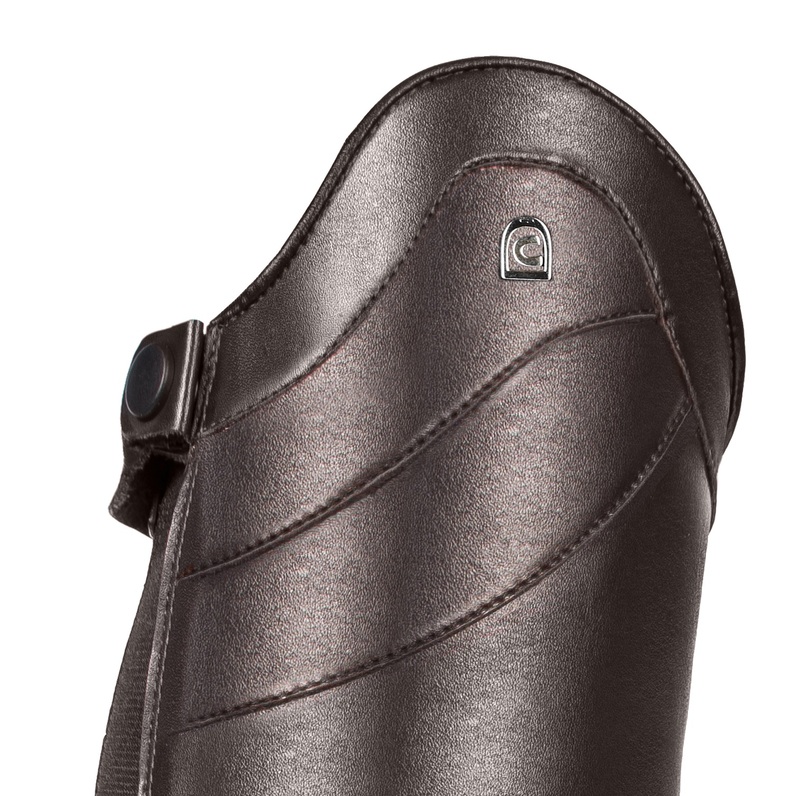 A covered long back zipper with a cross-scretch insert up to the heel cap enables a comfortable slipping. 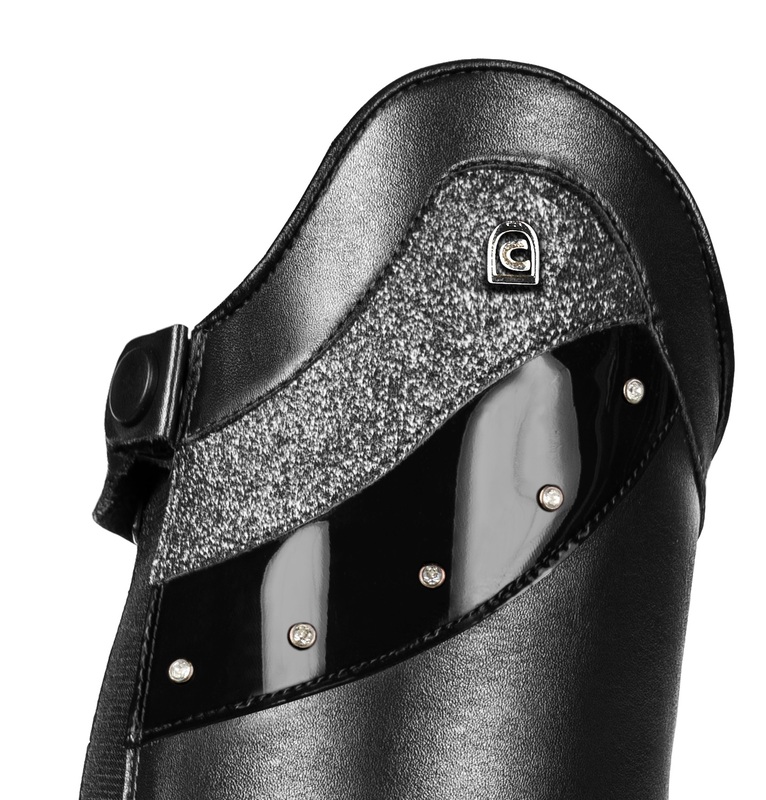 The boot has a ribbed sole with Vibram heel, the bow height counts 4,5cm (1,7''), a whipholder and seam on the toe cap. These boots are 2cm shorter than written at the measurement tables and drop 1cm while running in. The shoe size is very small because of the lambskin lining, please choose a bigger shoe size. 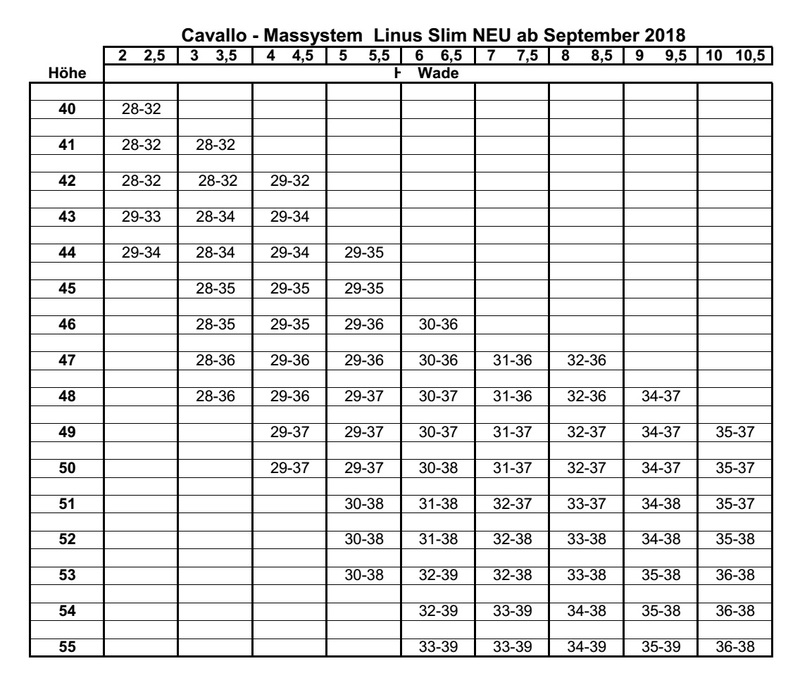 Related links to "Cavallo Linus / Linus Jump configurable"
Information zum Widerrufsrecht bei diesem Artikel: Beim Reiten ist es überaus wichtig, dass die Stiefel/Chaps auch perfekt passen. Deshalb können Sie bei uns auch individuelle Sonder- und Maßanfertigungen bestellen. Hierbei gibt es jedoch kein 14-tägiges Widerrufsrecht, denn das Gesetz sieht dieses bei Verträgen zur Lieferung von Waren, die nicht vorgefertigt sind und für deren Herstellung eine individuelle Auswahl oder Bestimmung durch den Verbraucher maßgeblich ist oder die eindeutig auf die persönlichen Bedürfnisse des Verbrauchers zugeschnitten sind, nicht vor. Als besonderen Service bieten wir Ihnen jedoch: Passt das erste Stiefelpaar/Chapspaar nicht und Sie senden uns die Ware binnen 4 Wochen zurück, modifizieren wir das vorhandene Stiefelpaar/Chapspaar, sodass es passt. Wenn dies nicht möglich ist, fertigen wir einmalig ein weiteres für Sie an (weitere Änderungen, wie Farbe, Austattung usw. sind dann nicht mehr möglich). Achtung: Bei Abweichungen vom Tabellenmaß können zusätzliche Kosten entstehen, über die wir Sie im Vorfeld informieren (dieser Service ist zusätzlich zu Ihren gesetzlichen Verbraucherrechten auf Gewährleistung einer mangelfreien Beschaffenheit der Kaufsache, welche unabhängig davon bestehen bleiben und durch den Service nicht eingeschränkt werden). 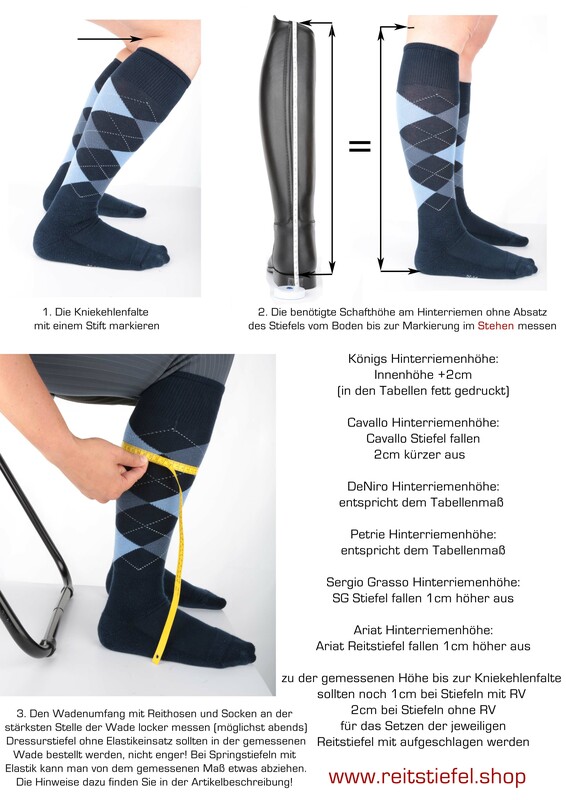 Customer evaluation for "Cavallo Linus / Linus Jump configurable"
Subscribe to the free Reitsport-Menzel newsletter and ensure that you will no longer miss any of our riding boot offers or news.